Will vinyl fencing turn yellow? 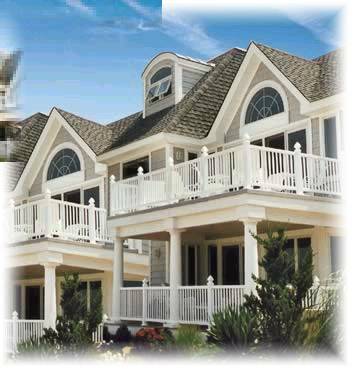 Our Fence products are warranted a lifetime against yellowing and have been field proven to maintain their color. Vinyl Fencing can break if subjected to a direct impact (e.g., an automobile running into a fence line). Under normal use, the fence will not break when installed properly. 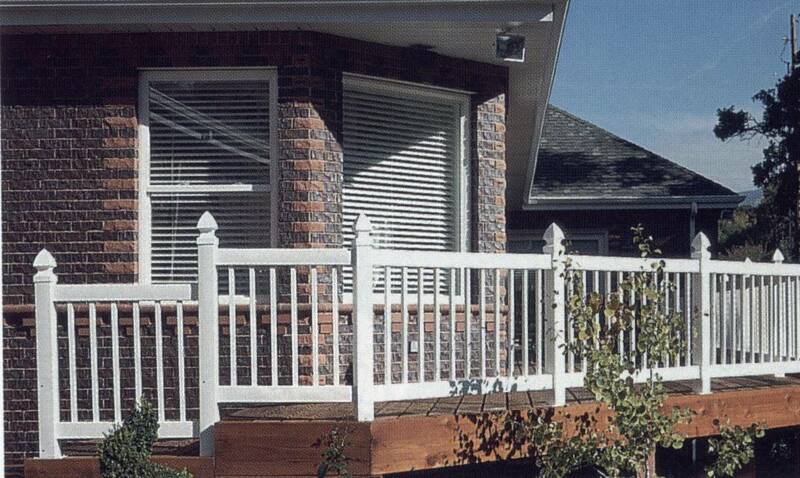 Planks, pickets and rails are easily replaced if damaged. How does it stand up in the wind? Vinyl fences are designed to withstand normal wind load. The amount of load is dependent on the installation of the posts and horizontal rails. If installed according to specifications, the fences are designed to stand up to normal wind load. Does the product become brittle in winter? As with most PVC products, vinyl will become less flexible in colder weather conditions. However, unless subjected to unusual impact, it will not break or crack. 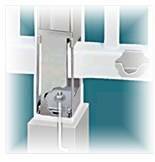 Our products have been engineered to accommodate normal temperature swings. It is normal for vinyl materials to expand and contract during temperature changes. Your contractor will allow for expansion and contraction during the installation process. As with all exterior products, our fence will become dirty when exposed to the elements. 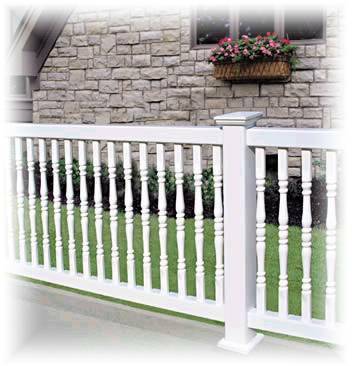 A mild detergent and water should be sufficient to keep your fence or deck rail looking new. For tough stains, Soft Scrub or baking soda works well. Simple Green and 0000 steel wool also works to clean stubborn stains. How does it hold up to weed eaters? Will it crack, chip, peel or rot? During the life of the product you should not expect to find surface cracking, peeling, chipping or rot. Will it mildew or collect mold? Vinyl products will, when subjected to extended damp weather, collect mold and mildew. They are, however, easily cleaned with a solution of mild household detergent and water. The cost of product, if compared to a similar wood product (e.g., #1 grade clear cedar or redwood with #1 grade, free of heart fence posts, then add paint preparation including sanding and priming and painting) the price is amazingly similar. Can you use it as a porch or guard railing? 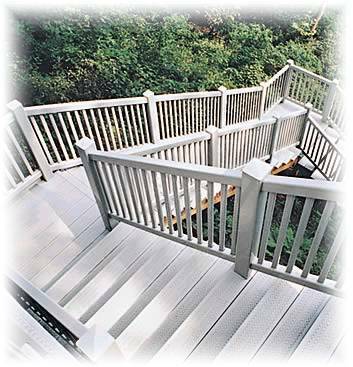 When properly designed, our vinyl products make a very stable porch and deck rail system designed to use at ground level and on balcony applications. 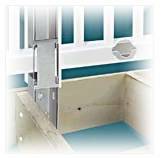 Can you make gates from the product? Gates can be made from the same material you use in the fence or railing. See your local professional for gate fabrication. Can I get custom styles made? Virtually any style that can be made out of wood or ornamental iron can be made out of vinyl. The styles are only limited by your imagination. Your local dealer/contractor has a wide variety of styles available to you. Vinyl Fencing does require a limited amount of maintenance. Under normal conditions this maintenance is in the form of annual washing of the fence to keep it looking new. Is the fence graffiti proof? Although not classified as graffiti proof, vinyl fencing is easy to clean and most paint comes off with just a little effort. It may require the use of a pressure washer or in extreme cases the use of paint thinner. 400 grit sandpaper can be used when some spots will not come off using the above methods.